Yuri Kuliy, pictured here, is charged with "attacking a police officer" for putting his hand on the shoulder of a riot policeman during anti-corruption protests on 26 March, Moscow. Source: OVD-Info. We continue our partnership with OVD-Info, an NGO that monitors politically-motivated arrests in Russia. Every Friday, we bring you the latest information on freedom of assembly in Russia. This week, Russia’s Investigative Committee finished its initial investigation into three of the four men charged in the “26 March” case — Yuri Kuliy, actor, Aleksandr Shpakov, joiner, and Stanislav Zimovets, political activist. This case, which follows the country-wide anti-corruption protests last month, focuses on instances of violence against police officers, and now has 145 investigators working on it — some of whom previously worked on the Bolotnaya case. Indeed, Kuliy and Zimovets have been forced to agree to their cases being examined via “special procedure”, whereby they admit their guilt in full without examination of evidence. Find out how other participants of the 26 March protests are experiencing repressions in our survey here. In other news, it’s not just Bolotnaya investigators who are transferring to the “26 March” case, but aggrieved parties, too. 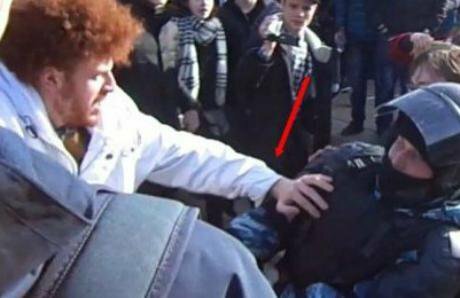 It was initially reported that Evgeny Gavrilov, a Moscow riot police officer, suffered injuries during the 26 March protests — and he acted as a victim in the case against Ivan Nepomnyashchikh, one of the last defendants in Bolotnaya. Now it’s come to light that lieutenant Valery Gonikov, whom Aleksandr Shpakov is accused of beating up, also acted as a victim in the 2012 Bolotnaya investigation into mass unrest. Svetlana Sidorkina, a human rights lawyer, managed to visit Stanislav Zimovets, who is accused of causing bodily harm to Vladimir Kotenev, a police lieutenant, on 26 March. According to Zimovets, he was trying to help some other protest participants, who were, in his opinion, being violently dispersed by the police, and threw a brick in the direction of Kotenev. A small piece of brick apparently hit Kotenev. Zimovets has been sent to a pre-trial detention block where prisoners on life sentence are held — Zimovets and his lawyer believe that this is one of the forms of pressuring him. Stanislav Zimovets, a political activist, is under particular pressure in the Moscow penitentiary system. Image: OVD-Info. This investigation doesn’t only concern adults, but teenagers detained on 26 March, too. They, and their parents, are being called in to the Investigative Committee for questioning repeatedly. For teenagers, this questioning lasts no less than four hours, and for parents - an hour and a half. The questions are set from a larger survey, which Open Russia has published here. Investigators ask, among other things, whether the teenagers were threatened in case they did not attend, whether they were promised compensation for legal fees or fines, as well as financial reward for participating or getting arrested at the demonstration. Meanwhile, the European Court of Human Rights has received the first complaint from a protest participant arrested on 26 March, Vitaly Nebieridze. The complaint states that Article 10 (Freedom of Speech and Opinion), Article 11 (Freedom of Assembly) and Article 6 (Right to a Fair Trial) of the European Convention on Human Rights and Fundamental Freedoms have been violated. 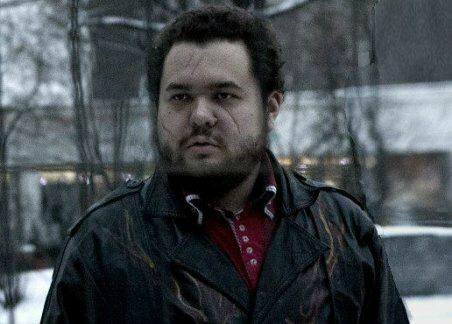 This week, Ivan Nepomnyashchikh, who was sentenced as part of the Bolotnaya case, was beaten up during a cell search in Yaroslavl Prison Colony No. 1. Together with several other prisoners, he was then transferred to an isolation cell. The prison administration refused Nepomyashchikh access to his lawyer, and the Federal Penitentiary Service denies that he was beaten, stating that he only had his “arm forced behind his back”. 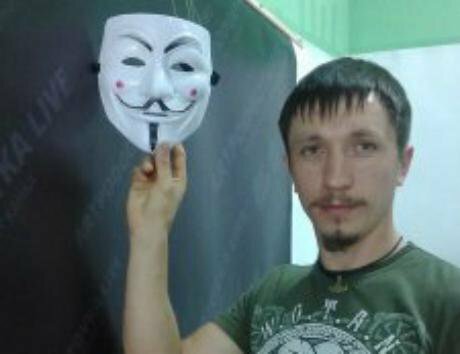 Dmitry Demushkin, a Russian nationalist activist, was sentenced to two and a half years in prison for, according to the prosecution, sharing two images on social networks with the aim of exciting hate towards a specific group of people. Ruslan Zeitullayev, a resident of Sevastopol, was sentenced to 12 years of strict regime on charges of organising a Hizb ut-Tahrir cell in Crimea, which is recognised as a terrorist organisation in Russia. Previously the court considered him a participant of the cell, rather than the organiser, and sentenced him to seven years of general regime, but the prosecution appealed. This is the first sentence for “coordinating a terrorist organisation” given to a resident of Crimea. Other cases against Hizb ut-Tahrir in Crimea are still in process. In Moscow, the city authorities refused to sanction a demonstration by Open Russia (“We’ve had enough”) near the President’s public reception, and proposed to move it to another location. In several other cities, activists have had their proposals to hold public meetings refused — for instance, the Kazan authorities refused to permit 30 pickets, and in Novosibirsk, organisers withdrew their application after threats from the mayor’s office. In Chuvashia, where a meeting had been permitted, activists came under pressure. And in Petersburg, Kazan and Pskov, people have been arrested for making calls to attend demonstrations — one of them has been arrested for five days. Oleg Lutin, a psychologist, shares his story of 26 March here. Source: OVD-Info. Activists from the Other Russia movement, detained in Krasnodar in connection with graffiting a local United Russia office, have been held at the police station for five days. The last news of their whereabouts was received on 25 April. And finally, of course, Russia’s General Prosecutor’s Office has recognised Open Russia — both its actions and as an organisation — as “undesirable”. A search was carried out at its Moscow office the next day.